A CHURCH IN Galway will take a novel approach to Ash Wednesday next week, with a drive-thru service set to be in place at Glenamady church, near the border with Roscommon. 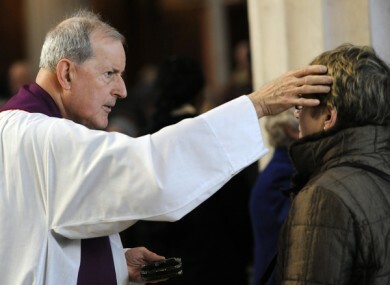 The Irish Catholic reports that Father Paddy Mooney had met with the pastoral council, who together decided on an approach that would cater for people on-the-go to get ashes on their forehead when Lent starts next Wednesday 1 March. The design of the church grounds will allow people to drive in one gate, stop and receive their ashes from their car, and then carry on to drive out a second gate. The service will be available between 8am and 9.30am that morning. The church has also installed a Lenten Petition box in the grounds where people will be able to pull in to submit prayer requests right up until Easter. Father Mooney said: “We looked at the situation on the ground. People and families are on the move all the time. We’re just putting [this] in front of people to help think of Lent, as a reminder of it. On Ash Wednesday, the ashes of the palms from the last year’s Palm Sunday are placed on the heads of members of the congregation. The day is seen as a way for Christians to remind themselves that they need to repent their sins. Read: Why do people get ashes on their head today? Email “'Drive-thru' ashes coming to Galway for the start of Lent”. Feedback on “'Drive-thru' ashes coming to Galway for the start of Lent”.